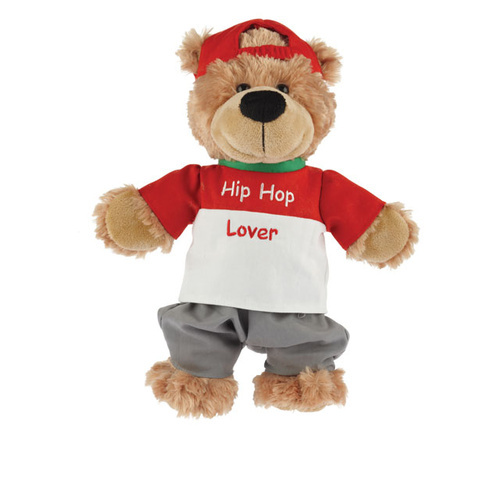 Hip Hop Lover Bear | A Cool Valentine's Bear! This ultra cool dude is a surefire way to get your lover's heart racing. With his baggy shorts and backwards cap he's sure to rock your socks! The Hip Hop Lover will bring a cheer to your crew as he chills on your shelf in his jersey. So brighten up your lover's day with this nonchalant little fellow and his peeps! Light sandy brown in colour. Made from all new non-allergenic, non-toxic polyester fibres.